Effective stormwater management requires participation from private landowners who help prevent runoff and flooding in their communities by building household-scale green infrastructure (GI). However, outreach efforts to spur wider GI construction often take a “one-size-fits-all” approach, failing to consider the site-level social, financial, and ecological factors that influence specific landowners’ decisions to implement GI. 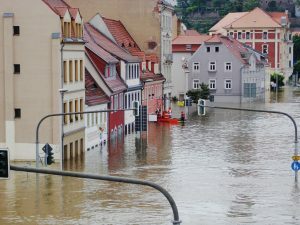 The results of a statewide study administered by researchers at the University of Vermont (Burlington) suggest that a household’s decision to adopt GI hinges on whether they have had personal experience with flooding on their property, whether they perceive stormwater management as an issue in their neighborhood, and where they live. In 2015, residents from all parts of Vermont received a survey by mail. The survey asked homeowners about their experiences with flooding, erosion, or site-level runoff, the barriers they perceive against GI construction. The survey also asked whether they had implemented or planned to implement GI soon. 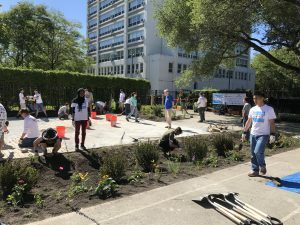 Focusing on three common GI practices – diverting runoff from rooftops, planting rain gardens, and digging infiltration trenches – the researchers analyzed 557 responses to better understand how attitudes about stormwater might influence adoption rates. Their interpretation considered details about each respondent’s property — placement within a watershed, the number of families in the building, and estimates of the amount of impervious space it contains. The interpretation also examines such broader community factors as population density and average rainfall. The survey found that slightly more than half of Vermonters reported experience with stormwater flooding issues, and that 65% of respondents said they had either adopted or intended to adopt at least one GI measure. Prior experiences with flooding, more than any other factor, influenced each household’s likelihood to move forward with GI. However, homeowners in urban or densely populated areas and those near vulnerable waterways also expressed greater interest in GI. Interestingly, whether residents are subject to municipal separate storm sewer system (MS4) permitting regulations also played a role. When asked about their most significant barriers to GI adoption, more respondents living in MS4 communities indicated practical concerns such as “not enough space,” “doesn’t look good,” or “too much upkeep” as major obstacles. Respondents outside MS4 communities were far more likely to cite “no need” as their most significant barrier, a sign that the MS4 program may make stormwater issues more visible for landowners. Study authors stressed the importance of different outreach strategies for different target populations. For example, while urban and suburban Vermonters were more likely to express interest in GI interventions, the researchers note that residents in multifamily apartment buildings or condominiums may not have the decision-making power to make changes to the building or landscape beyond their unit. A solution may involve targeting landlords rather than individual residents with GI subsidies and outreach programs in urban areas, according to the study. Likewise, programs that encourage rural homeowners to construct GI should not “sell” GI in terms of a neighborhood benefit, since many rural respondents did not consider themselves part of a “neighborhood,” the study found. On the other hand, rural plots generally have more buildable space than city plots, making them a natural fit for more expansive GI measures such as rain gardens, bioswales, and riparian buffers. The researchers say having as much information as possible about what motivates GI adoption decisions can help municipalities, regulators, and water quality organizations develop more effective GI programs and more resilient communities. Read the full open-access study in Landscape and Urban Planning.